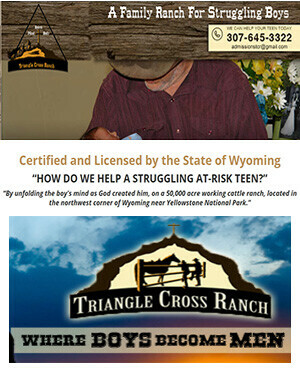 Triangle Cross Ranch (TCR) is committed to providing a safe, productive, and inspiring environment for your son. In creating this environment, we have achieved the proper balance between comfort and function. All of our facilities are maintained to strict safety codes and are always in good working order. 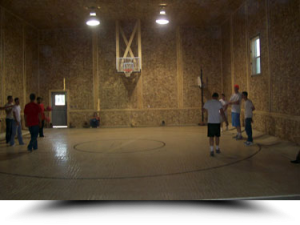 When the weather turns unfavorable, our Indoor Recreation Center provides boys in our troubled teen program with the opportunity to engage in healthy competition or individual exercise. To help nurture their appreciation of the need for physical fitness, some Triangle Cross Ranch staff have years of training in sport fields such as Olympic strength training and conditioning, competitive bodybuilding, boxing, and wrestling. The staff members of Triangle Cross Ranch are dedicated to maintaining a healthy, active lifestyle and they encourage the struggling teens to do so as well. Boys are encouraged to create and maintain their own workout regimen through staff guidance and participation. Our Indoor Rec Center is recently remodeled! This large building is the home of our Horsemanship Program, one of the most popular services that we offer our troubled teens. Our indoor horse arena is used for horse clinics such as round corral training, reining classes, roping practice, horse shoeing, and more. As part of his experience in a Catholic boy’s home for troubled teens, your son will reside in our spacious “Bunkhouse” during his stay at TCR. 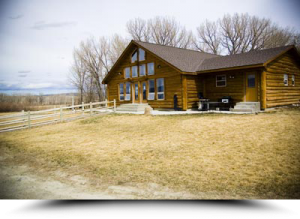 The Bunkhouse offers a warm and inviting atmosphere that becomes his home away from home. The Bunkhouse is equipped with a commercial grade kitchen to facilitate cooking for many hungry teenage boys, and a dining room that models a family style setting for all the students. The Bunkhouse also has an upstairs classroom that is open and looks over the family room, which has windows that offer spectacular views of the Beartooth and Sunlight mountain ranges.